Club leaders are best served by consistent, professional training that supports the brand, enhances member experience, and helps them grow as leaders. Refer to the Checklist below to help create a memorable training experience! Clubs must have a minimum of four officers trained during each Training Period to receive credit toward the Distinguished Club Program. Club officers are expected to bring their Club Leadership Handbook which is sent to the outgoing President in May. This document can also be downloaded by clicking here​. 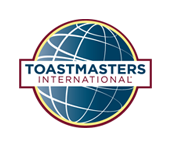 The materials provided by Toastmasters International are the standard of quality and consistency and should make up the core of district-sponsored club officer training. If in doubt, all Club Officer Trainings should follow the guidelines in Toastmasters’ ​Training Club Leaders manual, available to download free by clicking ​here. Visit Toastmasters International’s Club Officer Training resources page to view club officer training materials. Select dates and times that are convenient. Saturday mornings or afternoons are popular choices for many club officers. However, corporate club officers may prefer a weekday evening training session. Choose multiple dates, times and locations to ensure the majority of club officers receive training. Trainers should be experienced presenters and knowledgeable concering the position. Best practices would indicate trainers have held the role previously. District leaders (Division Directors and Area Directors) are good candidates as they are knowledgeable concerning all club officer roles. Once date/time/location and person responsible for the training event have been identified, it’s time to place the event on the District 26 Calendar. Note: The time in the first line (start time) will reflect Registration/Check-in time. The “end time” in the “When” line reflects the conclusion of the event, not the end time for clean up. Further information relating to parking, room number, Set Up, Clean Up, etc. are to be included in the Description section. Group training (50 min): should be on topics such as Pathways, District structure/support, Reports, Distinguished Club Program (DCP), Key Dates, Club Central, Moments of Truth or Successful Club Series. Group training (30 min): should be on topics such as Pathways, District structure/support, Reports, Distinguished Club Program (DCP), Key Dates, Club Central, Moments of Truth or Successful Club Series. Submit Attendance sheets, within 7 days, to the PQD for recording Club Officers trained. Toastmasters Dashboard report – DCP goal #9 should match current Club Officer Training Report below. Click here to view the most current Club Officer Training Report. Club VP EDs, be sure to report any discrepancies to the PQD.